Now you can play UNO in the company of your favorite Harry Potter characters! 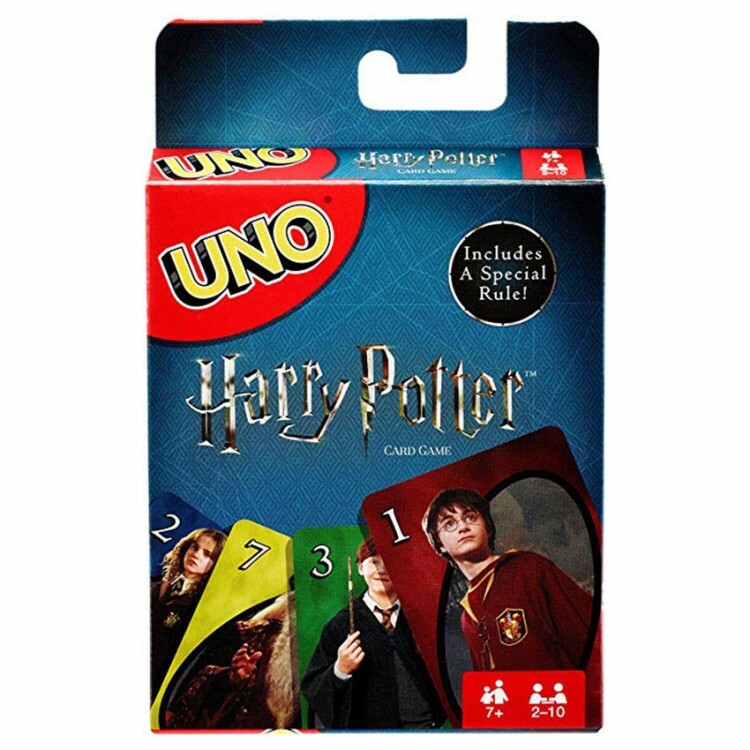 Same gameplay as Basic UNO but features images of Hermione, Harry, Ron, and other characters from the magical world of Harry Potter! The goal is to get rid of all the cards in your hand, and the first player or team to 500 points wins. Special action cards include Skips, Reverses, Draw Twos, and Wild cards. Sorting Hat card makes another player of our choice keep drawing cards until they get a Gryffindor card! A wonderful gift for Harry Potter fans, age 7 and older.